Discover a fast-and-fun method of creating (and completing!) quilted projects. When the piecing is finished, so is the quilting! 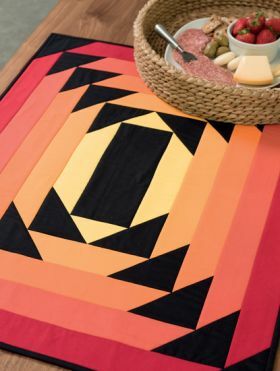 With step-by-step guidance, Gudrun Erla takes you beyond the straight-line piecing associated with the quilt-as-you-go technique to include triangles, squares, and strips, plus the illusion of curves--all in her clean, contemporary style. 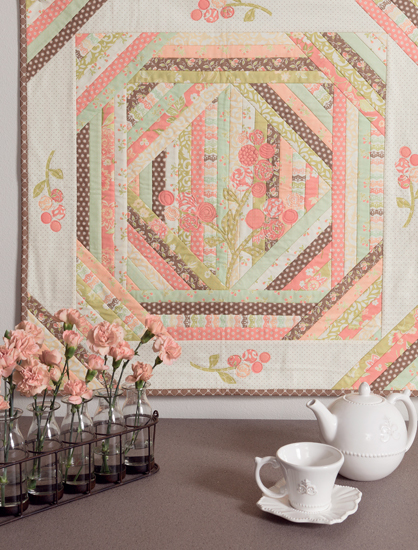 Gudrun's book features 14 beautiful projects. After I read it (yes, I read quilt books cover-to-cover!) I went straight to my quilting room. 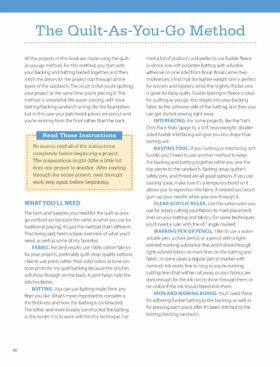 First, I revisited the Quilt-As-You-Go Method section at the end of the book to make sure I had everything I needed and knew what to do. Gudrun's directions were excellent so I quickly prepared the strips, backing fabric, batting and started stitching. 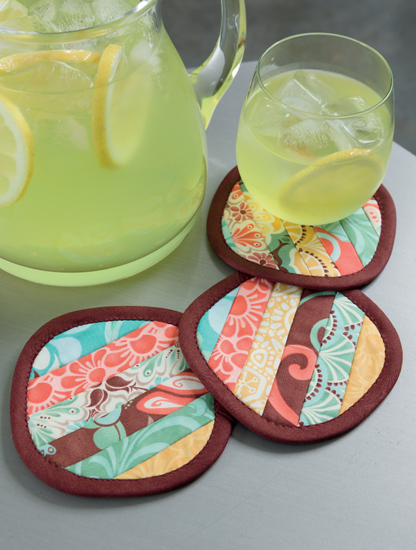 Then, inspired by one of Gudrun's ideas I turned the quilted strip into my own projects: two sets of mug rugs. I can't wait to work with blocks, too, and make a wall hanging and a table runner. Give it a try - easy, fast, and fun! 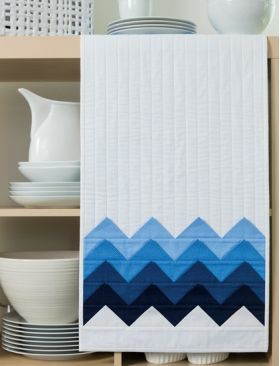 One of my favorite techniques is quilt-as-you-go. This book shows 14 patterns where you can do just that. 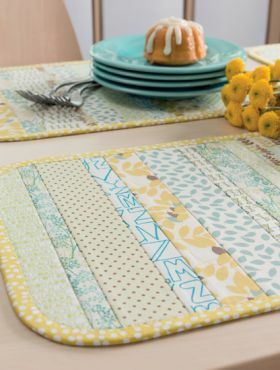 Between table toppers, bed runners, place mats, potholders, coasters and wall hangings, you will have a variety of items that once you are done piecing, you are DONE. The quilting is done as you piece. 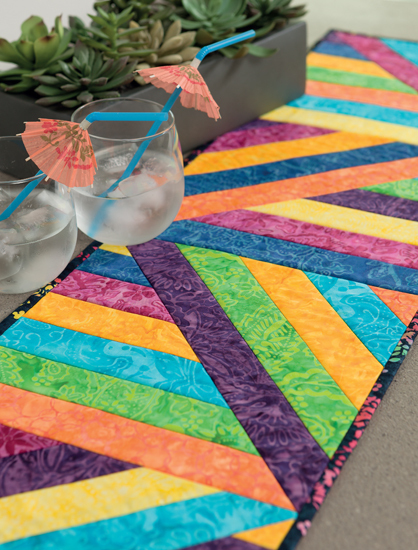 With the way I quilt as you go, I can even turn the runners into quilts with the strip join I use. 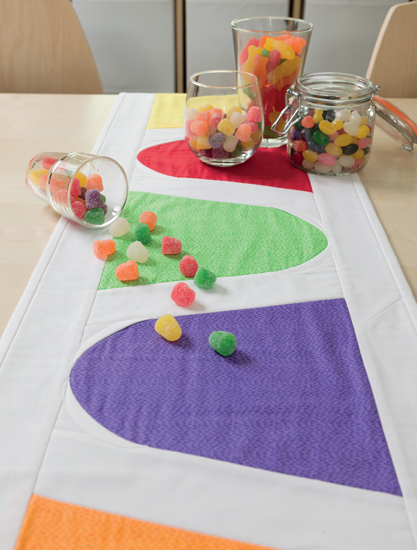 I don’t like to do curved piecing but with the author’s method, you do straight piecing and then fold a piece into a curve and stitch it down. Very nice. And she even adds Prairie Points to simulate a Chevron pattern. Now my problem becomes which pattern do I do first. 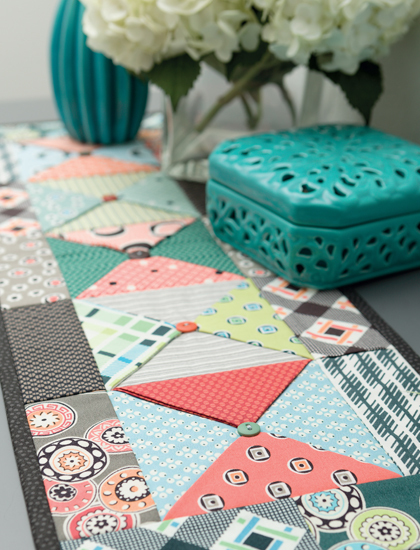 If you want your projects finished when you are done piecing, this is the book to show you how. I enjoy small projects for myself and also to make things together with my grandchildren. This book looks helpful and fun! I would love to win this. 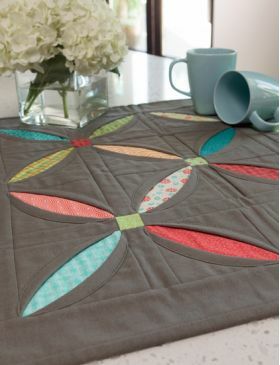 I haven't tried quilting as you go yet but it is on my list. This book looks like a great way to start. I love the designs shown and would be excited to try them! 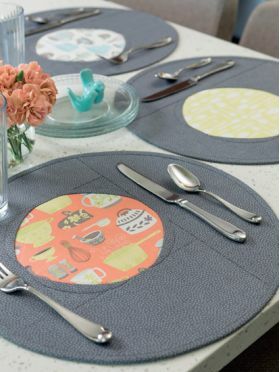 I would love to learn this method so that I could actually finish some table toppers! What a fun book. This book not only has great instructions on how to "quilt as you go," but it also has some adorable projects. 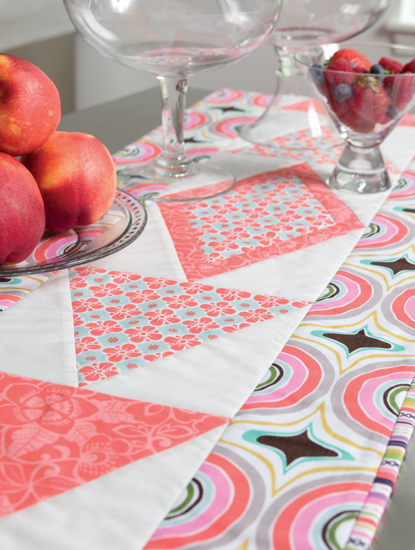 I love all the ideas for curved piecing, and all the fun different projects. Check it out, you will love it. 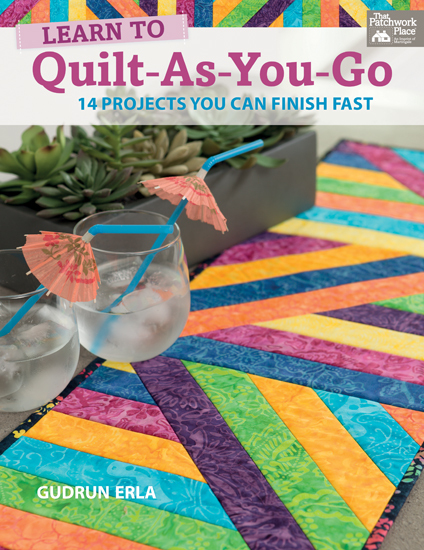 "Quilt-As-You-Go" is a great book for quilters just learning as well as quilters that want to complete their quilts themselves. 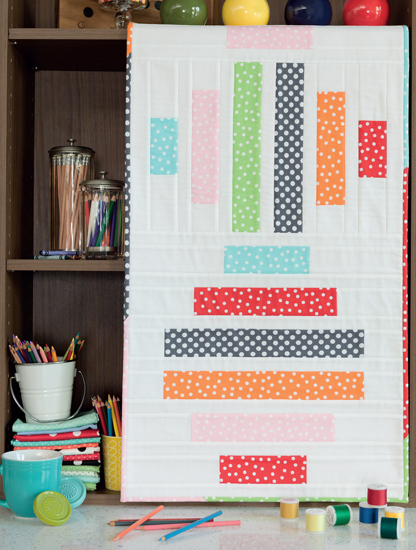 Using placemats, table runners, wallhangings, and table toppers to name a few projects, Gudrun shows you how to do your own quilting with different designs and motifs. 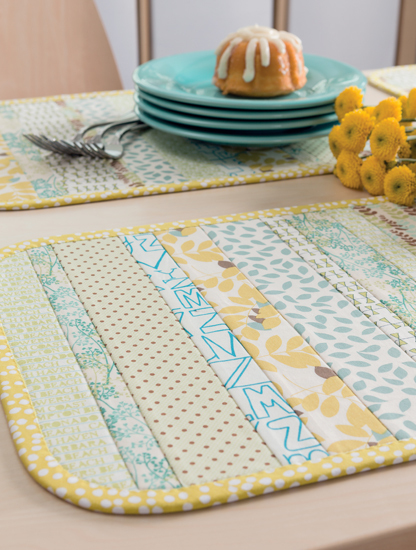 By using smaller projects the intimidation is removed for anyone apprehensive about doing their own quilting. 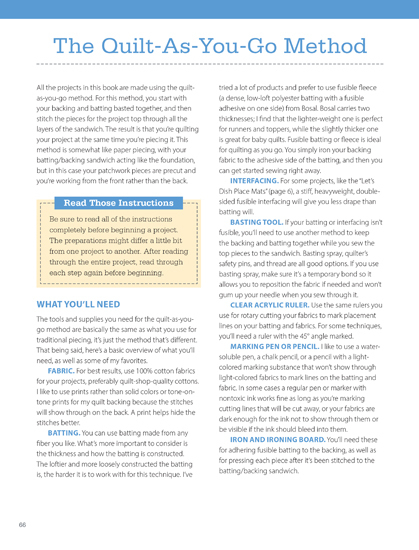 This book will encourage and help anyone interested in quilting their own quilts. 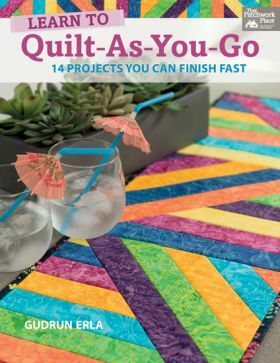 I am a longarm quilter and I recommend this book to anyone that wants to complete their quilt all the way through to the binding! Lots of Ideas! Gudrun Erla, the designer and owner of GE Designs, was born and raised in Iceland. 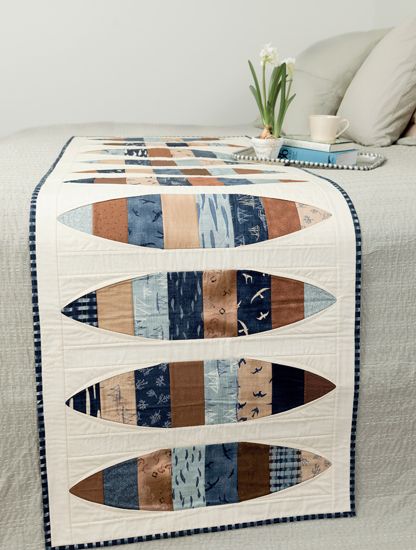 She started quilting at the age of 23 and became totally addicted to it right away. She owned and ran quilt shops in her home country and designed patterns as well, until a career move brought her family to Minnesota in 2003. Since then Gudrun has been designing full-time and publishing patterns and books under her company name of GE Designs. Her numerous quilt-as-you-go patterns and books have been very popular among quiltmakers wanting to make quick quilted items for their homes or for gift giving.